All Rounder Hockey is proud to bring you this brilliant collection of Grays hockey sticks for the 2017/18 season. Experience dating back hundreds of years combines with with cutting edge hockey stick technology, to bring hockey sticks with a serious reputation in the hockey industry. You can choose from a wide selection of blade profile for your perfect hockey stick, including Probow, Jumbow, Dynabow, Midbow and Ultrabow. Grays Kinetic hockey sticks include the new signature Grays Kinetic 12000, representing a revolution in Grays stick design. This will help you deliver unbelievable agility without sacrificing on that vital power on the ball. Grays GR hockey sticks, headlined by the Grays GR 11000, provide you with unrivalled power and performance, while the Grays GX range offers outstanding durability and playability, and a superb balance between power and control. 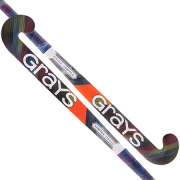 Grays indoor hockey sticks and wooden hockey sticks complete the range. The Grays Kinetic Range features the new Geocentric Core internal foam construction combined with Grays' twin tube carbon fiber matrix. This creates incredible feel and impact response and enhances performance and abrasion resistance. The Grays GR Range features Graphene Enhanced Technology that maximizes performance and durability of these composite sticks. Graphene is a form of carbon that is extremely thin yet extremely strong, ideal for creating cutting edge sticks with improved energy transfer feel and control. Grays have worked with the world's top penalty corner specialists to bring you their new ProBow blade profile. Generate great drag flick momentum while still being able to pass and dribble with ease. The Grays Dynabow Range features a bow between the Mid-bow and Jumbow blade profiles. This creates a stick that combines drag flick capabilities and high level technical skills with all of the power, control and durability you expect from a Grays Hockey Stick. Find Stability, Strength and Speed in the Grays Mid-Bow Range. With Powergroove central spines and micro head shapes across the range, these sticks have been improved and updated to help you be your very best. Grays have always been known for their high quality and durable equipment and this new 2017 / 2018 range is no different. - Carbon Edge Proctection – Reinforcement on the reverse edge means you can unleash a tomahawk with confidence. 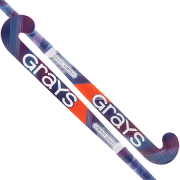 Grays Hockey are one of the stalwarts of the hockey world and are renowned worldwide for their high quality products, especially the Grays hockey stick category. 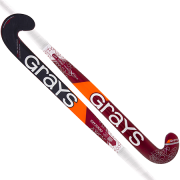 Endorsed by a plethora of international athletes, Grays Hockey is certainly a brand to trust.